The Dallas Stars have decided to bring back a familiar face, reacquiring Jamie Oleksiak from the Pittsburgh Penguins in exchange for a 2019 fourth-round pick. At the same time, the team has announced that Marc Methot will not return this season after undergoing surgery on his left knee. Amazingly, the fourth-round pick is going to be the same one that Pittsburgh sent to Dallas in the first place to acquire Oleksiak last season. Though this seems like a simple trade back of a depth defenseman, there are more circumstances than just the Penguins flipping Oleksiak back to his former team. First and foremost, Oleksiak now comes on a three-year contract that carries a $2.14MM cap hit through 2020-21. When he was first acquired by Pittsburgh he was a pending restricted free agent with almost no risk involved, now Dallas must involve him more regularly or watch a good chunk of cap space eaten up by someone in the press box. Second though, Oleksiak comes with renewed confidence and increased performance from his days in Dallas. The 6’7″ defenseman was struggling to get into the lineup on a regular basis through the early part of his career, and had only played 21 games in the 2017-18 season when he was flipped to Pittsburgh. 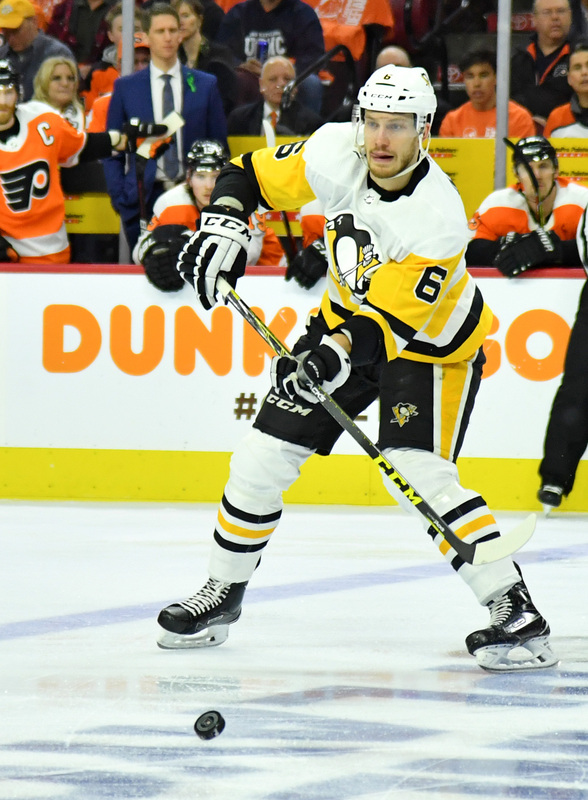 The Penguins almost immediately increased his minutes and Oleksiak responded with some of the best hockey of his career. This season, though his minutes have dropped slightly thanks to the improved depth on the Pittsburgh blue line, he is still an effective physical force that can separate attackers from the puck with his body or long reach. That kind of addition is exactly what the Stars are looking for, especially with Methot now confirmed out for the year. In fact, today’s announcement may very well spell the end of Methot’s career in Dallas given that he is an unrestricted free agent this summer and will be 34 coming off a major knee injury. Methot’s $4.9MM cap hit has been moved to long-term injured reserve, and it will be tough for him to secure anything close to that next season. Kovar has indeed been productive in the minors, collecting four goals and six assists in a dozen games at that level. If the Bruins decide not to tender him an NHL offer, it’s likely that he will look to return to the KHL where he has spent the past five seasons. Prior to Philadelphia relieving Ron Hextall of his duties as GM, the Flyers were in discussions regarding a contract extension for winger Wayne Simmonds, notes Sam Carchidi of the Philadelphia Inquirer and Daily News (Twitter link). However, Hextall indicated that the two sides were not close. Simmonds is a pending unrestricted free agent but given his style of play and tendency to play through injuries, locking the 30-year-old up long-term will carry some risk. Rangers defenseman Adam McQuaid is getting closer to returning from his lower-body injury. Head coach David Quinn told Larry Brooks of the New York Post that the 32-year-old is likely a couple of weeks away from getting back into the lineup. McQuaid has missed 16 straight games with the injury and has played just eight times so far this season. Stars coach Jim Montgomery provided an update on some of their injured defensemen to Matthew DeFranks of the Dallas Morning News (Twitter link). Connor Carrick (lower body) and John Klingberg (hand) are expected to miss about three more weeks each while Marc Methot (lower body) is more uncertain. He’s slated to undergo more testing that will hopefully determine how much longer he’ll miss. While the Flames could certainly benefit from a goaltending upgrade with starter Mike Smith struggling considerably to start the season, it doesn’t appear that Blue Jackets pending UFA Sergei Bobrovsky is an option for them. In an appearance on Sportsnet 960 (audio link), Sportsnet’s Elliotte Friedman suggested that Calgary isn’t on the list of teams that Bobrovsky would be willing to waive his no-move clause for. Smith has just a .876 save percentage so far this season which is the worst of his career by a significant margin and while backup David Rittich has played quite well, it would be difficult for the Flames to ask him to take over as the number one given that he only has 30 career NHL games under his belt. However, if Calgary wants to make a move to help their goaltending, it doesn’t appear that they’ll be turning to Columbus for help. Ducks winger Patrick Eaves was transferred to injured reserve earlier in the week with an upper-body injury. Elliott Teaford of the Orange County Register notes (Twitter link) that it’s actually a back injury that the 34-year-old is dealing with. It has been a rough start to 2018-19 for Eaves as he missed the start of the year with a shoulder issue and has played in just five games so far this season. While the hope was that Stars defenseman John Klingberg would only miss a month, that timeline has been extended already. Head coach Jim Montgomery told Matthew DeFranks of the Dallas Morning News that his top blueliner will be out at least five weeks and potentially more. Meanwhile, Connor Carrick was expected to miss roughly three weeks as of late October due to a lower-body injury but DeFranks notes he’s still a few weeks away from returning which suggests he’s behind schedule in his recovery. Fortunately for Dallas, Marc Methot is nearing a return and could play as early as Wednesday. It’s a busy Thursday night in the NHL with nine games on tap, and plenty will be focused on a prime Eastern Conference matchup between the Tampa Bay Lightning and Pittsburgh Penguins. Unfortunately both teams may be without key components as Andrei Vasilevskiy and Sidney Crosby are both dealing with injuries. As teams prepare for the weekend, we’ll be right here to keep track of all the minor moves. The Edmonton Oilers have recalled Patrick Russell from the minor leagues, giving the Danish forward his first chance at NHL action. Russell has nine points in his first 11 games for the Bakerfield Condors this season, after really finding his footing at the professional level in 2017-18. The former St. Cloud State standout could give the Oilers another option up front, though it’s not clear yet whether he’ll be inserted right away. Gavin Bayreuther is getting a chance with the Dallas Stars after plenty of solid work in the minor leagues, and could be part of a solution for the missing John Klingberg. Bayreuther has five points in seven games for the Texas Stars, and proved last season that he can be an effective puck-mover at the AHL level. Marc Methot has also been moved to injured reserve for the Stars, though that move is likely retroactive to Methot’s last game on November 1st. The St. Louis Blues have placed Brayden Schenn on injured reserve and recalled Sammy Blais in his place. Blais started the season with the Blues, but went scoreless in eight games. The 22-year old forward has been fairly snake-bitten at the minor league level as well, registering just two points in nine games. Schenn’s IR stint is retroactive to November 3rd, meaning he can be activated at any time. With the flu making its way through the Columbus Blue Jackets dressing room, the team has recalled Zac Dalpe and Jean-Francois Berube under emergency conditions. Artemi Panarin, Riley Nash and Sergei Bobrovsky are not expected to play tonight, while Gabriel Carlsson has been reassigned to the Cleveland Monsters. Dalpe has been excellent this season for the Monsters, scoring 12 goals and 19 points in just 14 games. The Arizona Coyotes have a new face in the dressing room as Dakota Mermis has been recalled before tonight’s game against the Nashville Predators. The Coyotes moved Alex Goligoski to injured reserve to make room for Mermis, who was recently named captain of the Tucson Roadrunners. The Dallas Stars are having a hard time staying healthy. The team is already without top-six forward Alexander Radulov and defensemen John Klingberg, Marc Methot and Connor Carrick, not to mention they have yet to see either Stephen Johns or Martin Hanzal hit the ice this season. That list has grown yet again, as forward Devin Shore is now expected to miss time as well due to a lower-body injury. Stars head coach Jim Montgomery told the media that Shore is expected to miss a minimum of seven to ten days. Shore, 24, was off to a hot start this season. The University of Maine product is tied for fifth on the team in scoring behind five goals and six assists and has frequently been skating on the Stars’ top line. While Shore still has ample room to grow into a more offensively involved player, his 50-point pace was easily making 2018-19 look like his best season yet. The 2012 second-round pick has finished in the low thirties in back-to-back 82-game seasons to begin his NHL career. The question now is whether Shore will be able to bounce back quickly and get back to his current scoring clip or if an extended absence or slow return could send him back toward that 30-point projection. While Shore is out, the Stars will have to call upon their depth once again. The team recently recalled Denis Gurianov from AHL Texas and will likely ask he, Mattias Janmark, Gemel Smith, and free agency addition Blake Comeau to take larger roles. This could be an opportunity for 2018 re-draft Adam Mascherin to make his NHL debut as well. Dallas is in the bottom third in the league in scoring as is and will have to find some suitable replacement for Shore’s production while he remains sidelined. With Oilers winger Jesse Puljujarvi having been a healthy scratch in three of ten games already, Sportsnet’s Mark Spector notes that there is a debate inside the organization as to whether or not it’s time for the 2016 fourth overall pick to spend some time in the minors. Edmonton was hesitant to give him much minor league time last season even when he was struggling but optics aside (it rarely looks good when a high pick heads for the minors), there’s certainly a strong case to be made that this is a good time to send him down. Puljujarvi’s value has sharply eroded over the last couple of seasons and an extended stint with AHL Bakersfield would allow him to work on his all-around game while getting a lot more playing time than he currently is now. While Sharks center Joe Thornton wasn’t expected to miss much time due to a knee infection, he has now missed the last night games. Head coach Peter DeBoer told reporters, including Kevin Kurz of The Athletic (subscription required), that while Thornton is “getting closer”, he still has a catheter in his arm to give him antibiotics which would need to be removed before he could get clearance to return to San Jose’s lineup. 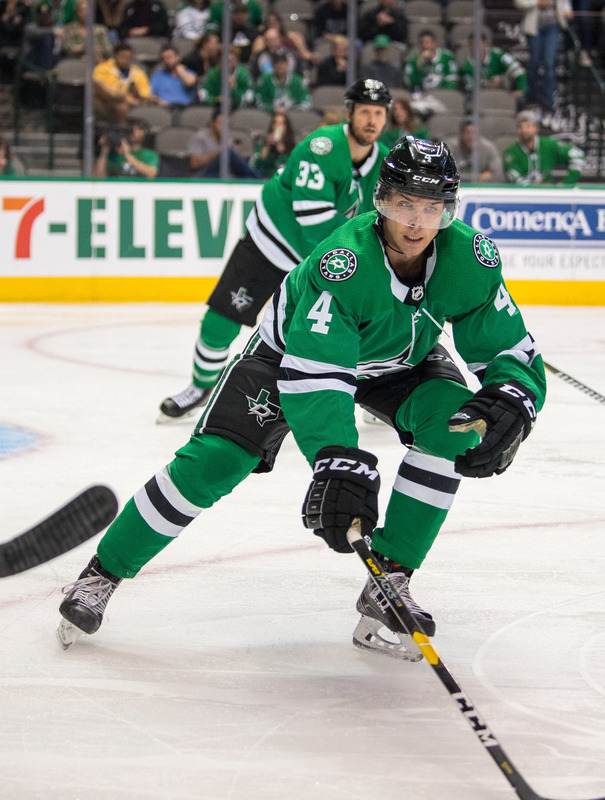 Dallas is set to get one defenseman back but is losing another. Mike Heika of the Stars’ team website reports that Marc Methot is ready to return after missing the last two games due to a lower-body injury. However, he’ll likely take the place of fellow rearguard Connor Carrick who sustained a lower-body injury of his own on Sunday. Meanwhile, head coach Jim Montgomery indicated that he’s hopeful that winger Alexander Radulov will be available for Tuesday’s game against Montreal after missing four straight due to a lower-body issue. San Jose Sharks head coach Peter DeBoer broke up the defensive pairing of Erik Karlsson and Marc-Edouard Vlasic in the third period of Tuesday’s game. He then changed up all the defensive lines Friday and Karlsson once again was not playing next to Vlasic. It might seem that the merger of two defensive stars might be done, yet The Mercury News’ Paul Gackle writes that this is nothing more than a bump in the road for the Sharks and their elite pairing. Gackle writes that DeBoer is well known for shaking up lines, either on offense or defense if the team is struggling, and this is no different. The belief is that for Karlsson to be the offensive force that the Sharks need, they need Vlasic to take a more defensive approach to his game and play more like Marc Methot, the defensive defenseman who was paired with Karlsson for many years in Ottawa. With just a few weeks of the season underway, DeBoer is well aware that Karlsson needs time to adjust as will Vlasic who they still believe is the perfect complement to Karlsson. Josh Cooper of The Athletic (subscription required) writes that the Anaheim Ducks shouldn’t put too much blame on head coach Randy Carlyle, who has had a successful stint in his second tenure as head coach. However, while Carlyle has done quite a bit with certain key players such as Ryan Getzlaf, Rickard Rakell and Cam Fowler in the last few years, if the team cannot rebound from this, there could be a coaching change in store at some point this season, although the scribe believes that Carlyle will be given every opportunity to right the ship. Fox Sports Jon Rosen writes that the Los Angeles Kings got some good news on the injury front as the team is starting to integrate prospect Gabriel Vilardi into practice last week and although he’s wearing a non-contact sweater, it’s a positive step for the 19-year-old, who missed both training camp and the start of the season with back problems. The team’s 2017 first-round pick struggled through back problems last year at this time and missed the first half of the season before finally being returned to juniors to finish out his season. He contributed 22 goals and 56 points in just 32 games with the OHL’s Kingston Frontenacs. With the Kings in desperate need of offense this year, the team hopes that Vilardi can make a seamless transition to the NHL and contribute at some point soon. The Vegas Golden Knights have declared winger Max Pacioretty out for Sunday’s game against the Ottawa Senators. Pacioretty, who took a big hit to the head during Friday’s game against Tampa Bay, is listed as day-to-day still. Las Vegas Review-Journal’s David Schoen reports that he asked Golden Knights head coach Gerard Gallant whether the 29-year-old was in concussion protocol. Gallant’s response: “He’s got an upper-body injury.” Tomas Hyka will be in the lineup in place of Pacioretty. He has no points in five games. The Dallas Stars got a big boost to their defense when they managed to get Heiskanen, the third-overall pick in 2017, to come over to the NHL from Finland. The talented defenseman should be both an offensive and defensive presence for years to come and should be one of the cornerstones of the franchise. The 19-year-old posted 11 goals and 23 points in 30 games in the Liiga last year and has made an immediate impact to the team. And at an entry-level price, should prove to be an even greater impact to the team’s salary cap. Honka, the team’s first-round pick in 2014, has shown glimpses of being a dominant defenseman as well, but despite his offensive talents, his lack of defense has kept him out of the lineup and has caused him to doubt himself as he is dealing with confidence issues. There was a belief that with new head coach Jim Montgomery around, Honka was starting to develop into that top-four defenseman that the team was hoping for, but he has already been scratched twice, suggesting he’s still not there yet. A team that lacks offensive depth should be thrilled that Hintz has made the roster. The 21-year-0ld is a 2015 second-round pick and is coming off a 20-goal campaign in his first season of the AHL and could provide some offense from the wing position. This could be the last season for Spezza, and if not, it will be at a much lower AAV. Spezza is coming off one of the worst seasons in his career when he tallied just eight goals and 26 points last season as the 35-year-old struggled. While more determined to put up better numbers this year, the team likely will have to find top-six offense from someone else down the road. Methot is no different as his almost $5MM in salary could be better used elsewhere with the team’s defensive depth, although like Spezza, they could bring him back on a cheaper deal. The defensive specialist struggled with injuries last year, appearing in just 36 games. The team may need a lot of that money for Lindell, who has developed into a solid top-four defender in Dallas. His defense has always been solid, but he has improved on offense, posting a career-high of 27 points and needs to be locked up to a long-term deal. The team also might consider locking up Janmark, who has improved each year since joining the team. The 25-year-old put up 15 goals back in the 2016-17 season and followed that up with an 19-goal season last year, suggesting he could be ready to take that next step this year and become that much-needed offensive weapon on their second line. The team still has two years of Hanzal remaining, who signed a three-year deal last offseason, but has struggled with back issues. The 31-year-old appeared in just 38 games last season, posting five goals and 10 points and remains injured at the moment. While he has been skating, there remains no timetable for a return. However, if Dallas can get him back healthy at some point this year, he could provide the Stars with some secondary scoring. Although he’s never been a 20-goal scorer, Hanzal adds a physical presence to the team. Nichushkin is another player who the team has high hopes for after he agreed to return to the NHL after a two year stint in the KHL. The 2013 first-rounder put up just pedestrian numbers in his two years with CSKA Moscow, but the team believes he should fare well on their second line this season and should produce some offense. Khudobin is another important addition to the team as the team fell apart after the team’s starter went down late in the season at a critical moment. Without a solid backup (Kari Lehtonen), the team struggled and failed to reach the playoffs. Khodobin adds that much needed solid netminder who can fill in for Bishop, who has a history of injury issues. The team also needs offense from Shore and Faksa. Both have shown the ability to produce, at times, on the bottom-six lines, but both have the potential to take their games up a notch if they can find the right chemistry. Shore has scored just 24 goals in two seasons combined, while Faksa, a defensive center, scored a promising 17 goals last year. The team has little to worry about in three years as it has just the veteran Comeau locked up and Johns. Comeau was brought on board to add a gritty, veteran presence to the team, while the 6-foot-4 Johns put up solid defensive numbers for the Stars and even provided eight goals. The team has several of their cornerstone players already locked up, the most significant came this summer when Seguin agreed to an eight-year extension to stay in Dallas long-term. Until he did so, there was plenty of speculation the team might have to move on from him, but with their franchise player locked in, the team can now focus on building the team around him rather than looking for a new franchise player. The 26-year-old posted a career-high 40 goals last year, but many feel that he is ready for a breakout season and might be able break out and take his game to the next level. Benn is another player who the team counts on quite a bit on that fearsome first line. The 29-year-old is still a major offensive force who posted 36 goals and 79 points last season, bouncing back from a lesser 26-goal season in 2016-17. He continues to be a consistent scoring threat as he has never (strike shortened season excluded) scored less than 22 goals in his entire career. Radulov adds that third element for Seguin and Benn. The 32-year-old winger signed away from Montreal last summer was a perfect linemate on that first line as he tallied 27 goals of his own. Bishop put up decent numbers last year as he played in 53 games for the Stars and put up a 2.53 GAA with a solid .916 save percentage. However, injuries knocked him out at a critical time and the team needs him to be healthy for a sustained playoff run. Klingberg had a great season for the Stars, despite seeing his goals scored drop to career-low eight. However, his career-high 59 assists suggested that he’s moving to the upper echelon of defenseman in the league and he even garnered some Norris Trophy consideration. 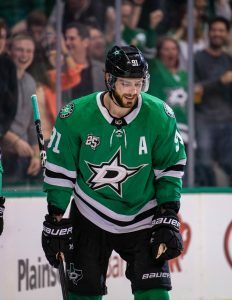 The key to the Stars plan was getting Seguin to sign on the dotted line and despite some early offseason concerns that it might not happen, the two sides were finally able to come to an agreement before training camp started. 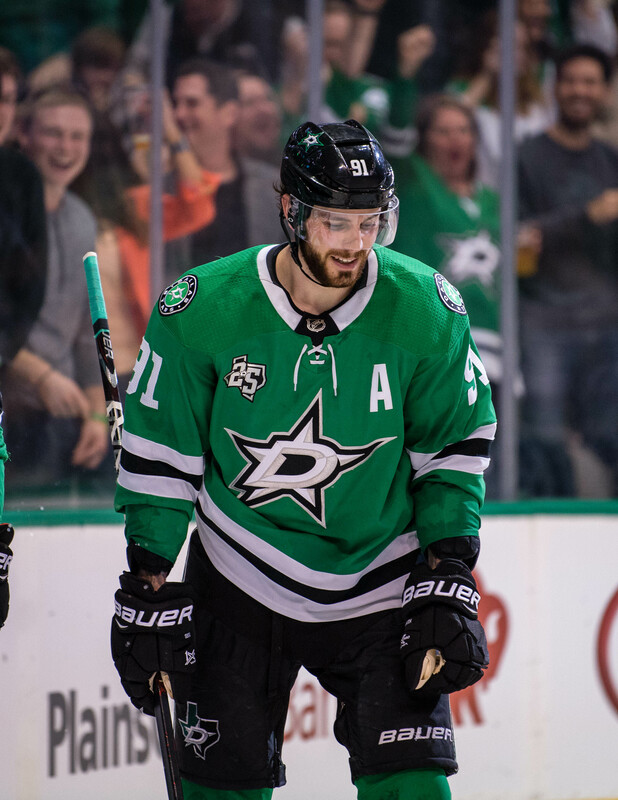 That allows the team and general manager Jim Nill to continue working towards adding pieces around a core of Seguin, Benn, Klingberg and Heiskanen by adding much-needed depth. The team looks to be in good shape for the extended future. Now they just have to win some games. Josi is on one of the bigger bargain contracts in the league, one that carries a cap hit of $4MM through 2019-20. The team already has $19MM committed to their other three top-four defenders for 2020-21 and beyond so the Predators may be in tough to keep that core together. However, Ellis did his part to help earlier this summer and it appears that their captain is willing to do the same when the time comes. Last season, the Blues kept center Oskar Sundqvist on the roster in part because they were concerned he might clear waivers, notes Tom Timmermann of the St. Louis Post-Dispatch. However, he adds they don’t seem to have that same worry now. Sundqvist played a sparing role last year, collecting a goal and four assists in 42 games while averaging 10:29 per night in ice time. With several youngsters vying for a roster spot though, there’s a real possibility that his spot is in jeopardy. Stars defenseman Marc Methot dealt with knee issues last season and it doesn’t appear that those have completely gone away. He mentioned to Matthew DeFranks of the Dallas Morning News that his knee is still tender at times but that the situation is more manageable. Even so, that has to be at least a little concerning for the team considering he’s their highest-paid defender and is someone they’ll be counting on to have much more of an impact if they want to make it back to the postseason. What Does The Future Hold For Jake Gardiner? Before July 1st, few people outside of the Toronto Maple Leafs front office were too concerned about the contract status of defenseman Jake Gardiner, who enters the final year of his current deal in 2018-19. Then Drew Doughty, Oliver Ekman-Larsson, Ryan McDonagh, and Ryan Ellis all preemptively signed long, expensive extensions. Just like that, the situation for Gardiner changed completely. Looking ahead to next summer, there is now an argument to be made that Gardiner is the second-best defenseman on the unrestricted free agent market as it currently stands. That was far from true earlier this summer. He has gone from an afterthought to an Erik Karlsson consolation prize. While the free agent class features many prominent veteran defenders – Jay Bouwmeester, Anton Stralman, Marc Methot, and Alexander Edler – it lacks many long-term pieces behind Karlsson and Gardiner. The Winnipeg Jets’ Tyler Myers and the Vegas Golden Knights’ Nate Schmidt would perhaps offer Gardiner some competition, if either unexpectedly reaches the market, but there is a strong case to be made that Gardiner would be the superior target. The real question is whether or not Gardiner actually makes it to free agency. While nothing has changed about Gardiner’s value or ability since July 1st, his relative cost has shifted dramatically. With a potentially loaded free agent market for defensemen, Gardiner would have been taking a risk by turning down a fair extension from the Leafs to pursue other offers that may not have come once the smoke cleared from the major signings. Now that he almost certainly will be considered one of the top available names, Toronto may have to pay a premium to keep him from testing the waters, if they can. By the time Gardiner finishes next season, his career games played and offensive production will likely be superior to those currently of a player like McDonagh, who just signed a seven-year extension worth $6.75MM AAV. Granted, Gardiner is not the all-around player that McDonagh is, but given his continuously improving play and the boost of being a top available younger player, it is a fair frame of reference. For example, look at the four-year, $18.2MM contract that Calvin de Haan – considered by many to be the best defenseman in this current free agent class – signed with the Carolina Hurricanes this summer despite missing the majority of last season due to injury. The market sets the price and scarcity drives up price. So will Toronto ante up to keep Gardiner? The Maple Leafs have to be careful with their long-term salary cap management. The team still owes William Nylander a contract this summer, as well as extensions for Auston Matthews and Mitch Marner by next off-season. Those are the three names that everyone is focused on when it comes to Toronto. Yet, in addition to Gardiner, other impending free agents that the Leafs would like to keep include forwards Kasperi Kapanen, Andreas Johnsson, and Josh Leivo, defensemen Travis Dermott, Andreas Borgman, and Connor Carrick, goaltender Garret Sparks, and even incoming imports Par Lindholm and Igor Ozhiganov who could win spots on the team this season. This is the final year that Toronto can take advantage of this massive group of bargain players, all of whom are paid $1.3MM or less and due raises. Not to mention, signing Gardiner and the other blue liners and losing veteran Ron Hainsey will still keep a massive hole open on the right side of the defense that the team will need to continue to search to fill. The numbers simply don’t seem to add up, at least not very neatly. It would seem difficult for the Maple Leafs to pay Gardiner his market value, extend all of their other key impending free agents, fill the gap on the right side of the top pair next to Morgan Rielly, and still somehow end up under the salary cap next season. The story line to watch this season, as the John Tavares era begins, is whether the Jake Gardiner era is ending. Another career year for the capable defenseman could leave the Leafs without much choice but to let him walk next off-season and continue to work with a pieced together blue line. Do they trade him at the deadline? Do they trade a young core forward to replace him? Or instead do they somehow move salary to fit Gardiner in at any cost? Find out in 2018-19.